Situated in the majestic Caucasus Mountains to the north, the Black Sea to the west and arid deserts to the south, Georgia is a diverse place. Thanks to its neighbours such as Armenia, Azerbaijan, Russia and Turkey in enriching its culture. Despite being a small country, it offers some of the most spectacular landscapes on the earth! It’s a top destination for skiing and snowboarding during winters. Currency: Georgian Lari (GEL), US dollars are widely accepted. 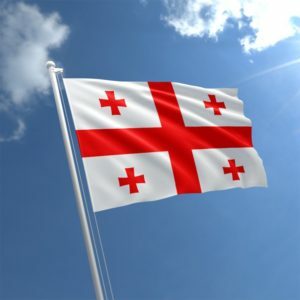 Language: Official language is Georgian and very few people speak English. Visa: Pakistanis need to prearrange a visa however if they have a residence permit of any of the GCC countries that can get an entry on arrival free of cost provided having a return ticket, hotel booking. I also suggest having travel insurance as sometimes the visa officers even ask for it. Climate: Considering its size, it has a very diverse climate, making it ideal destination throughout the year. If you want to go for skiing, then head to Gudauri in winter, from December to February. Overall the best time to visit the country is during the months of April-June and September-October. Trivia: Georgia is one of the oldest wine producing regions of the world. From trout fish to local meats mainly lamb, traditional cuisine includes various regional dishes. Khachapuri (Cheese filled bread) is a must. Tbilisi International is a modern airport and the biggest in the country, just 20-minute drive from the City Center. Metro and buses are available in Baku, keep coins handy to buy metro tickets. Taxis are also available, but some are nonmetered, I advise to tell the destination to the cab driver beforehand and agree on the fare. Talking about Tbilisi, it has a range of hotels suiting your needs. You can find a hotel room starting from 20$/night. There are many listing available on Airbnb as well (use this link to get 25$ off). You can also check other travel resources which will help you plan your trip better. There are many nightlife spots in the capital city of Tbilisi including casinos and nightclubs.